So it's crazy to think that I actually haven't sat down and written a blog post in over a year. My last post was published on Jan 11th 2016 - WTF?! I'll be honest, life got in the way. I just couldn't juggle my blog, my job, my social life and all the rest of it so unfortunately a blog hiatus took place - a little longer than I wanted but it is what it is. I'm hoping this post will get me back into the swing of things and help me rekindle my love for blogging because truth be told, sitting down and actually putting fingers to keyboard - I've missed it. I'm coming at you today with my most recent beauty purchase. Now I know, I do NOT need another concealer but I was watching Zoe's Makeup Collection vid not too long ago and she happened to mention this one - the Bourjois Radiance Reveal Concealer (£7.99) and I thought I'd give it a go. I've not bought a concealer since Collection's Lasting Perfection that's actually blown me away. This one - this is The One. 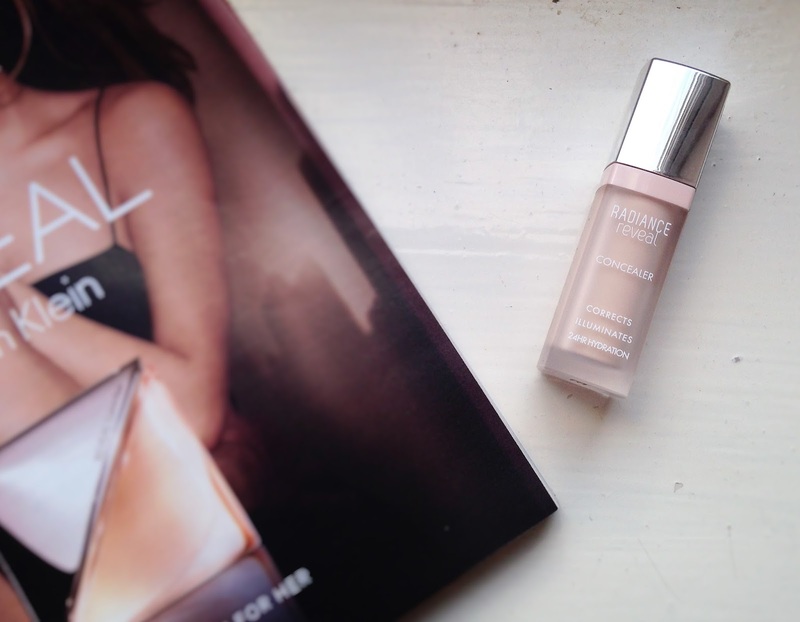 It's a good colour match, which is rare for drugstore makeup - I got the shade 01 Ivory. Like most Bourjois face products, it smells delicious and it's super hydrating, which is exactly what I've needed for my skin of late. It claims to Correct, Illuminate and provide 24hr hydration - and I would agree with all of those statements. For me, it offers medium coverage and works beautifully under the eyes though i tend to use it on anywhere I get redness since I've stopped wearing foundation on an everyday basis - I know, such an unblogger-y thing to say! It lasts well through the day and blends flawlessly (I use my Real Techniques Sponge and it's like a match made in heaven I tell ya). I set it using my NYX HD powder and I don't even need to touch up through the day. I'm completely in love with the concealer and I reckon it's going to be making a re-occurring appearance in my makeup collection.